The Dow Jones Industrial Average (DJIA) and the Dow Jones Transportation Average (TRAN) usually run in the same direction. In strong bull markets, both of the indexes move higher. In bear markets, they move lower. Transportation stocks have moved lower lately. And that’s yet another caution sign for the stock market. 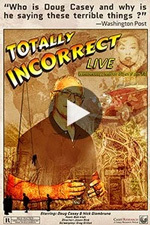 In Doug’s new video presentation, Totally Incorrect: LIVE, you’ll see Doug go on the record with five controversial and politically incorrect predictions… These forecasts are too outrageous to reveal here – and you can only see Doug discuss them in the video. 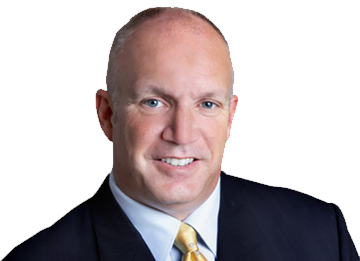 You will also discover the true story behind Doug’s personal investment method that led him to extremely rare, life-changing gains of 86,900%, 63,000% and 5,000%. BONUS: You’ll get details on 5 new speculations that could go up 1,000% in the next year. The recent rally in TRAN peaked in mid-February. It’s moved steadily lower over the past few weeks. In fact, the chart now shows a series of lower lows and lower highs – the definition of a downtrend. More important, though, is the 9-day exponential moving average (the red line) has just crossed below the 50-day moving average (the blue line). This sort of “bearish cross” often indicates the start of an intermediate term downtrend. The bearish cross that occurred last June led to a several-week-long period of choppy action in the transportation stocks. The bearish cross in October, however, kicked off a severe decline – in which TRAN lost more than 20% of its value. There’s no way to know how the recent bearish cross is going to play out. But, it is just another reason for traders to stay cautious on the market right now. Jeff, thank you for the excellent Market Minute last week about why we hold large portion of financial portfolio in cash right now under overbought conditions. I needed a confidence boost and reminder that, yes, I should be underperforming since we rose cash in 2700s of the S&P 500 and started to short in the 2800s. It’s been disappointing, but I understand that to win the war we must be willing to lose ground some days, some months. Thank you, Jeff, for your portfolio review and waiting on recommendations update this morning. I appreciate your honesty, integrity and all that you do! Nice call, Jeff. Not easy to stick to your indicators when the markets move against you. Thanks for being the voice of reason. I really like your thoughts on market conditions each morning! I get other letters and they are all hard bullish… Their portfolios are pretty red now. Thank you, as always, for your thoughtful insights. We look forward to reading them every day. Keep them coming to [email protected]. He’ll expose a plot to take down President Trump… the coming crash of the “everything bubble”… and how civil unrest will further divide America. These are bold predictions. But nobody ever accused Doug of holding back. And he certainly won’t tonight. See for yourself right here.